By Catherine on May 6, 2012 | Last Updated March 11, 2019 | 27 Comments | Medical Disclaimer | This Post Contains Affiliate Links - I may receive a commission if you purchase through links in this post. If you’ve found yourself in nutritional debt and you need help getting out or you just want to maintain excellent nutrition, then eating liver can help you reach your nutrition goals FASTER. Chances are, you live among complete and utter chaos (I know I do). It’s not only a part of our daily reality, but we are often expected to play superhero-roles (without the wings). Never before has there been a time where we have been expected to do so much, with so very little down time for rest and relaxation! There is quite a bit of beauty in all this jazz of doing it all (don’t get me wrong), but our chaotic dance of life demands super premium fuel! This is where nutrient-dense foods really come into play. Liver is one of those therapeutic foods! One 4-oz serving of calf’s liver contains abundant amounts of Vitamin A– 1600% DV , B12- 1598%, B2- 190%, B3- 74%, B5- 74%, B6 52%, zinc 84% , copper 847% iron 32% , selenium 31% , phosphorus 52%, and 64% of your daily protein needs! Good luck finding all of that in a pill! So whether you love it or hate it, it is a wonderful way to increase your nutrition to thrive (not just survive) in our demanding world. Take a look at these graphs below from Fitday.com. All I did was add 1 oz of liver to my existing food intake for the day (keep in mind 3-6 oz of liver per week is ideal). 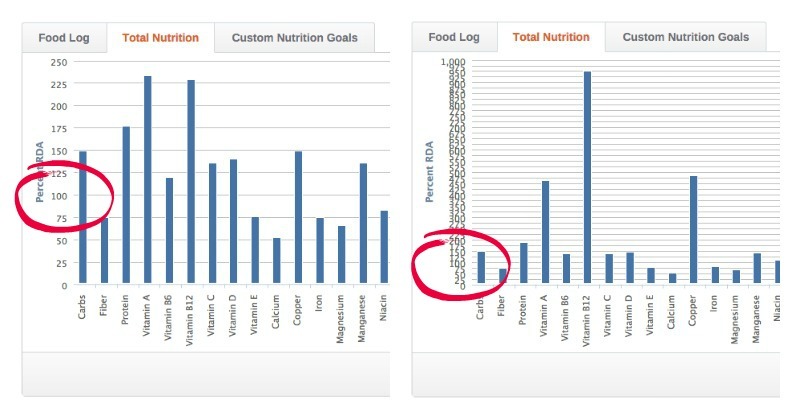 Look how the Percentage Recommended Dietary Allowance (RDA) scaling on the left side of the graph had to change to reflect the nutrients in liver! (left side= without liver, right side=with 1 oz liver). Liver’s nutrient dense profile makes it the perfect food for helping YOU get out of nutritional debt. Why take supplements when you get this kind of nutrition from real food? 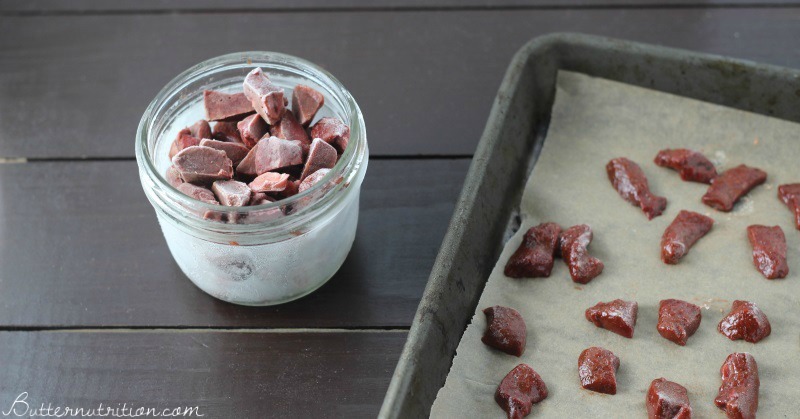 Liver and fish cubes, get the recipe here from a friend of mine! This is how I eat my liver! Try calf’s liver at least once. Calf’s liver has less liver-y taste. Soaking in milk prior to cooking also helps to mellow the flavor. 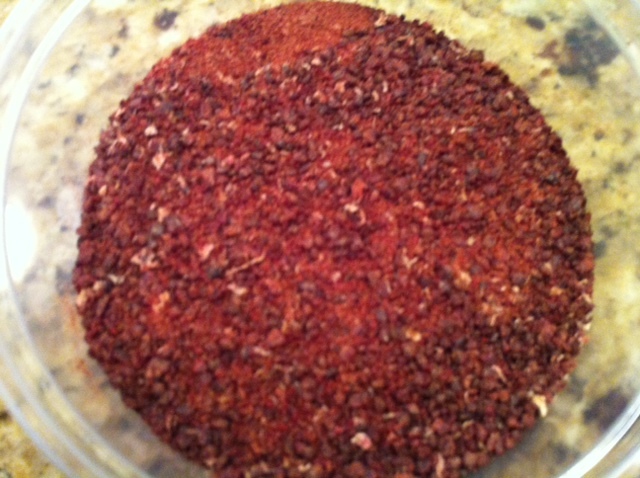 Next time you make meatloaf or burgers, grind a little bit of liver and blend it into your meat mix. 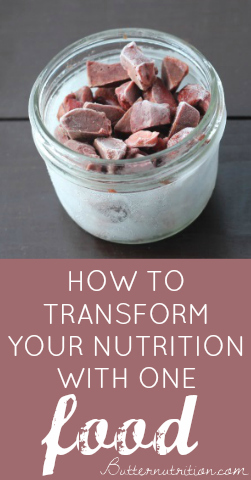 Frozen liver supplement: Buy organic/pasture raised if possible chicken/beef/lamb liver and cut the raw liver into small pieces (think vitamin sized). Put on parchment paper/cookie sheet and throw in your freezer for 14 days to help kill the unwanted bacteria. You’ve just created frozen liver pills that will slide right down with fluids (without the taste). As a last resort if all else fails, invest in an organ complex (like this). Sauté 1 large onion in coconut oil over low-medium heat until caramelized and sweet, and then add the garlic/herbs/salt for the last 3-5 minutes of cooking. Set aside. 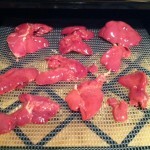 Quickly sauté liver/heart at medium heat (more rare, or well to your own liking). 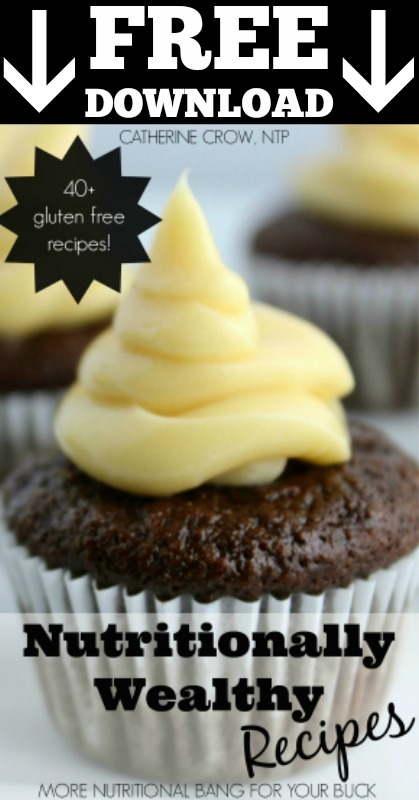 Combine all ingredients while still warm in a blender. Melt the duck fat and add to the blender. Blend all to desired consistency. Liver is naturally high in iron and vitamin A. 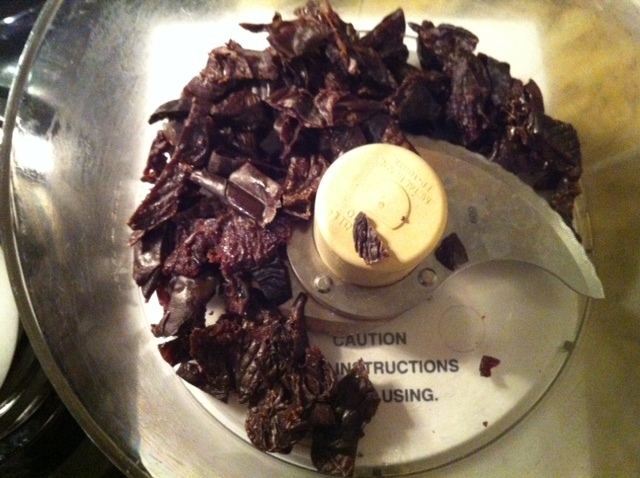 Because of the dangers of iron overload, I highly recommend knowing your iron status before eating liver regularly. It’s also important to access your intake of vitamin A, to avoid vitamin A toxicity. It’s also important to not only eat liver, but balance it with other organ meats as well, such as something like this. But always know your own mineral levels before starting any supplement program. So tell me, are you a lover or a hater? 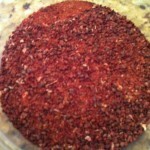 Do you take a liver supplement? Can you make me some liver pills? 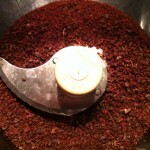 I fill the empty capsules by hand (just open them and scoop the powder). I would guess it would last 3-6months, but I usually go through it really fast, so I’m not certain. 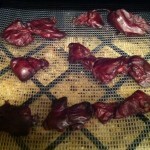 It also probably varies per batch and how dehydrated the liver gets. 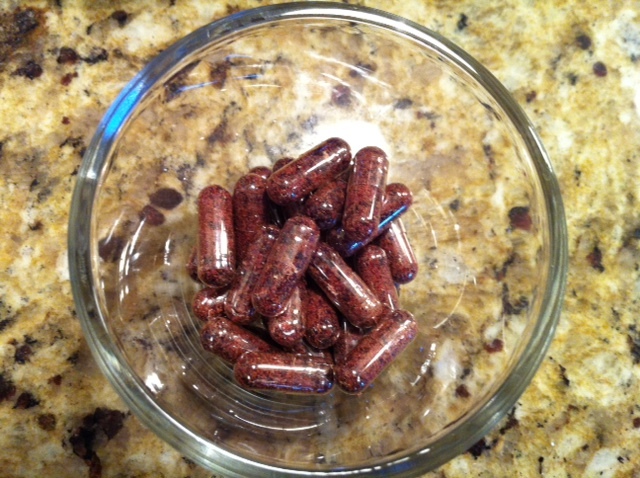 how many of the capsule do you take? I want to do this!! 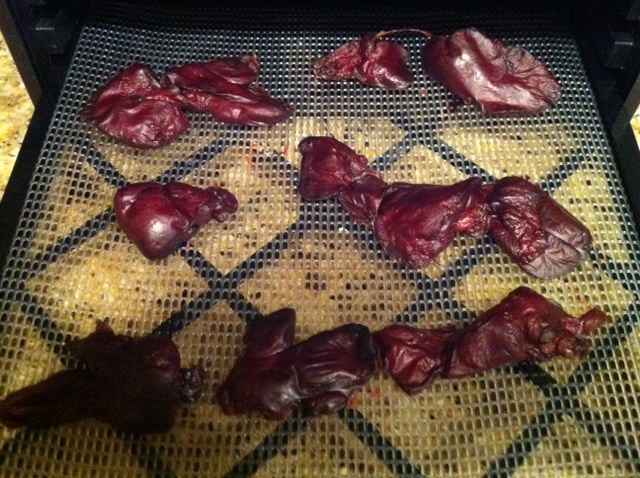 Does dehydrating the liver smell up the house much? A little bit, especially if you are in a small space. Personally, I would rather deal with a slight smell for a day than eat liver! Great ideas! 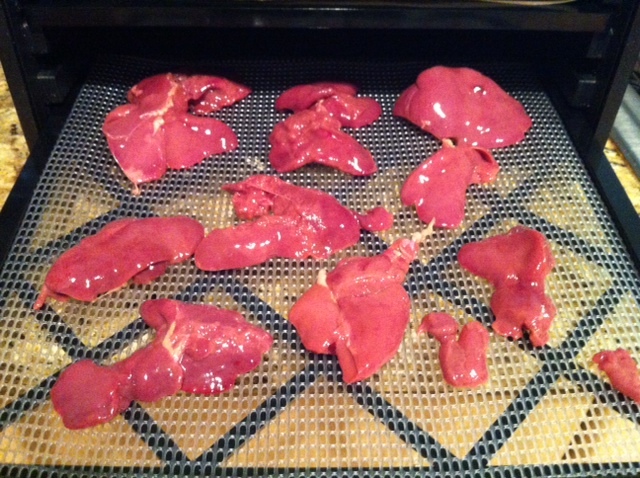 I love liver and onions and liver pâté, but dehydration and capsulizing or freezing tiny bits is genius! I love your site- every single article has a great idea for me to incorporate into my daily life! Thanks @Heather for your kind words! Um, you’d kill baby cows just to get their liver? Kinda sick. Lots of people are fine with killing babies…humans, just because they think they have a choice. Animals are here for food!! Also, the term calf doesn’t really mean baby. They are full grown just not old. Also, I hope they aren’t being killed just for their liver! Responsible animal husbandry (which we all support here) calls for humane treatment of animals in their natural habitat living on fresh green pastires outdoor in the sunshine…pretty nice life…and then making responsible use of the everything the animal has to offer! Muscle meats, bones, organs, hide…it’s how nature and the world was designed. Trying to rely on a vegetable diet: first world problems. how much liver do you recommend per week? or can you point me toward some information to help me make the decision? Kind of a late reply but just because the liver’s job is to remove toxins from the body doesn’t mean it stores them. The liver directs toxins out of the body through the kidneys or bile duct after neutralizing them. Because the liver requires so many nutrients to fulfill this duty, it stores those “on-site” as it were, so eating liver gives the benefits of eating all the nutrients. Or that’s what I’ve been led to understand, at least. 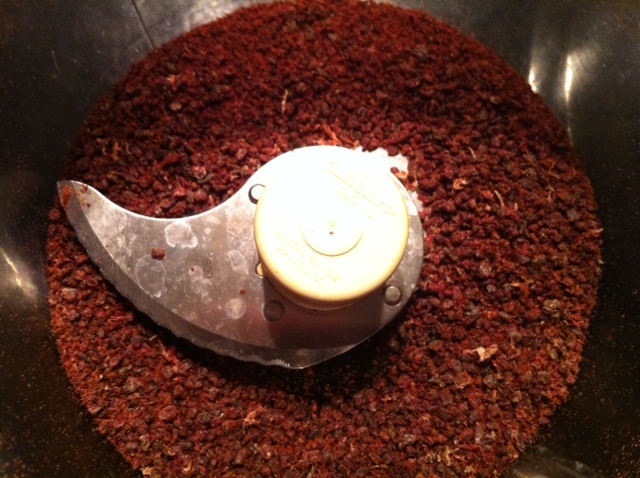 Hi Catherine, Does one need a meat grinder or would a food processor be sufficient for grinding up organ meats? Thank you! I don’t own a meat grinder. Sometimes I’m able to get it to a consistency I want in the food processor, but sometimes I feel the need to put it in the blender too. Would it be “overkill” to take both cod liver oil and beef liver supplements at the same time, or do they do different things? I have a weird/gross question but my Hubby brought it up when I mentioned trying this liver capsule thing out. XD He said that you’d still taste it it your burps, and I wondered if this was the case and if so is it really that bad? Maybe some people don’t, but I did. I cannot bear the taste or smell of liver (I CAN taste it “hidden” in meatloaf etc. 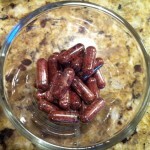 and just smelling it cooking makes me sick to my stomach) so I bought some of those liver capsules from Radiant Life. I gagged just opening the bottle because of the liver stink so I froze it to take the smell down enough so that I could swallow one. Got it down OK (chased with a spoonful of homemade jam to cover the residual aroma) but I burped liver taste all evening until I seriously thought I’d throw up. Gave away the rest of the bottle. I cannot cope with the FCLO, either, even chilled it has an awful awful taste. WARNING: Bacteria is NOT killed off by freezing or dehydration. It only suspends or slows reproduction. It takes months to kill off most of the bacteria in meats by freezing. 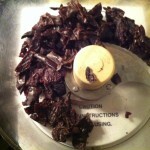 Dehydrators do not typically reach a high enough temperature. Beef needs to be heated to an internal temperature of 160F and poultry to 165F in order to kill off all bacteria. I thought the same thing. I think liver might be good, but I could never eat any form of raw meat! Cooked for me thank you. Is chicken liver good for you as well? I have never liked other liver, just too strong for me. Thank you.